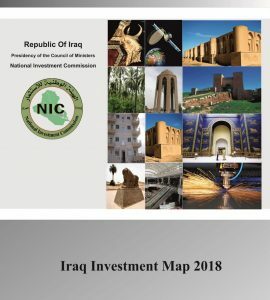 Dr .Sami R. Al Araji, NIC Chairman, invited all companies and Egyptian capitals to participate in the current investment process in Iraq explaining that our country is a fertile land for investment and the Iraqi market is a promising one capable to embrace everybody. This invitation was presented while receiving His Excellency Mohamed Qasim, the Egyptian Deputy Minister of Foreign Affairs and the accompanied delegation on Wed. 23rd June. The two parties discussed means to develop the economic relations between the two countries. NIC Chairman said that Iraq has the desire to build strong strategic economic relations with Egypt because of the huge investment opportunities which can be used by the Egyptian side including the 1million residential units. He also assured NIC interest to ensure guarantees provided by investment law number 13 for the year 2006. He referred to the big opportunities for Egyptian businessmen presented by establishing partnership with Iraqi private sector to supply residential projects with the main construction materials. NIC is committed to arrange bilateral meetings to exchange experience and increase mutual cooperation. 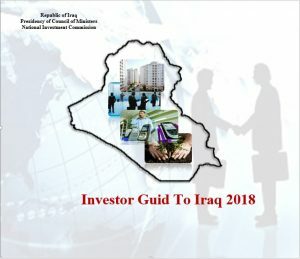 The Egyptian Deputy Minister of Foreign Affairs was pleased with NIC role in attracting investors and capitals to Iraq emphasizing Egypt desire to access the Iraq markets and utilize the available investment projects in addition to strengthening the economic relations between the two countries.